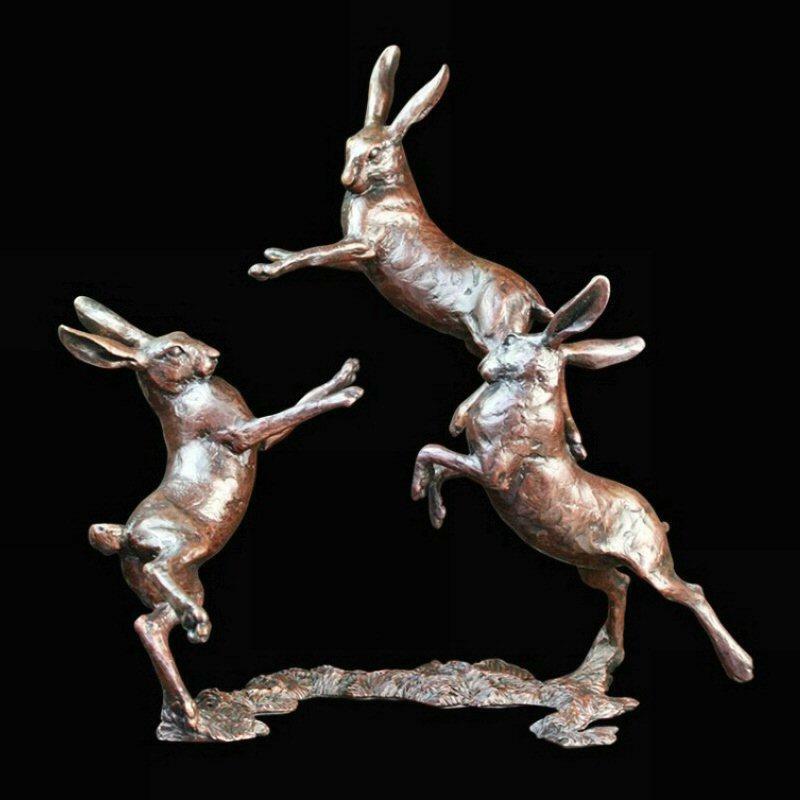 Three hares playing, sculpted in solid bronze by Michael Simpson. A carefree moment of joy captured perfectly by the artist and brought to life in fine English bronze. Hares have long been part of county folklore - it was said that to see hares dancing under a full moon would bring you fortune for the rest of your life. This beautifully composed scene created in solid bronze would be a special gift for any lover of British wildlife.